Situated between the Atlantic, Pacific and Arctic oceans, Canada is the world’s second largest country, after Russia. Such large distances may make Canada seem like an unreachable destination but at DHL, we take such distances in our stride. When sending important documents or parcels to a vast country like Canada, it’s important to use a name you can trust. That’s why DHL is the perfect choice. Serving over 220 countries and territories worldwide, DHL’s global network is well equipped to handle UK and international deliveries. 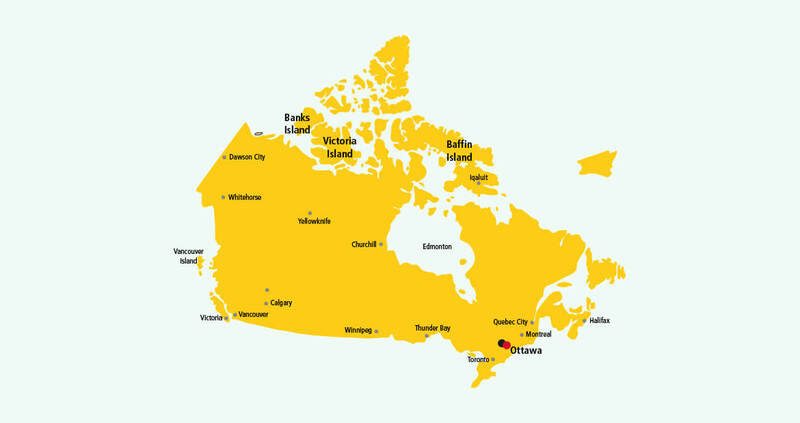 DHL opened its first service centres in Canada in 1977, so you can rest safe in the knowledge that your parcel will be well looked after when leaving the UK. Our fast and secure delivery service means your parcel delivery to Canada is made in good time. And along with our door-to-door service, parcels are signed for on delivery ensuring your package reaches its destination safely. Plus, you don’t need an account to send a parcel to Canada and you can track your package’s journey for free by text, phone or online. Want to know how to send a parcel to Canada? Get a quote and pick from our three simple options. It’s as easy as walk, click or call! * Public holidays in Canada may affect our estimated transit times. 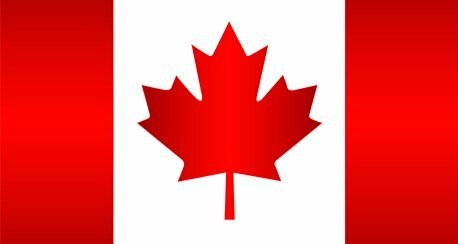 The Canadian motto, A Mari Usque ad Mare, means "From sea to sea"